I bought 25 of different sizes and but am sold out. If you want to order one and have it shipped to you, drop me a line. Depending on requests, not sure when more will be ordered. Stuff we want, but too expensive to have a single one made. Order larger amounts, and sell cheaper. Suggestions for items? Know a vendor to make any item? Want to assist? Drop me a email! I don't have firm pricing for this done yet, but I already have the embroidery artwork done from prior runs, so that part is done and paid for, so this would be quick. Could be done on other shirt types too - jerseys, t-shirts, etc. Price would depend on demand, but probably under $20. I have had these shirts in the past. Arrowhead logo is about 3" in size. This logo looks best on a Grey shirt as well, but can do other colors. A Good Polo shirt would probably run about $20-$25, depending on quantity. Also would have to move quickly to have these by the reunion. If you were there, you understand! This is a "One golf tool fits all" necessity for any golf bag, or just for the display case. Zippo lighters, professionally printed by Zippo. Finalized at $23 each. 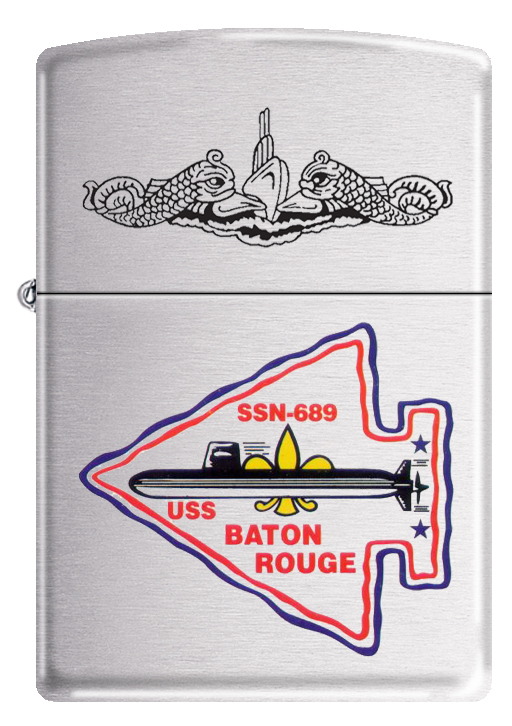 Looks just like the picture to the right, with the USS Baton Rouge Arrowhead logo and submarine qualified dolphins embossed on a chrome lighter. The "Mouse Roar" is a removable ball marker for when you are on the green. The forked end is both a cleat cleaner and cleat tightener. The forked end is also for repairing divots on the green. And the bonus, stab the forked end the ground, and the curved opposite end is a club cradle to lay your other clubs in, that you are bringing to/near the green, to keep the grips dry. 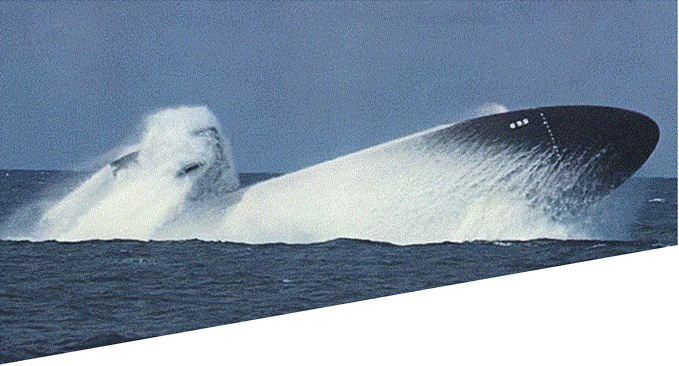 Always wanted to get one, but foolishly passed the chance while onboard ("Why do I need a lighter, I don't smoke"). When I find them on eBay, they are usually not 'mint' and end up selling for way too much. NOW IN STOCK!